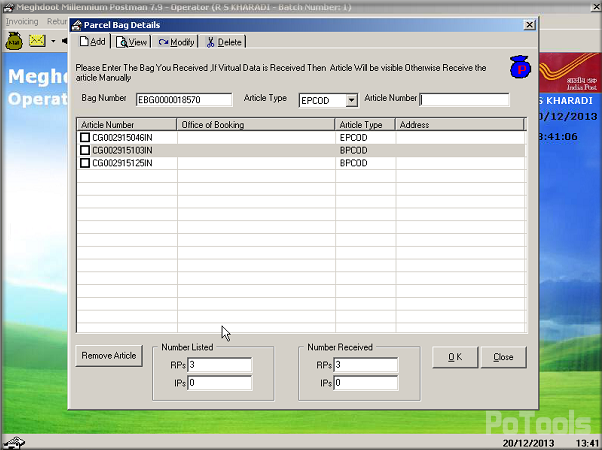 Enter the bag number > Select the article type and enter the article number. 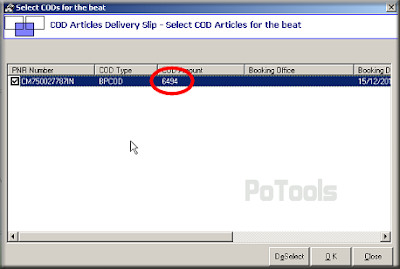 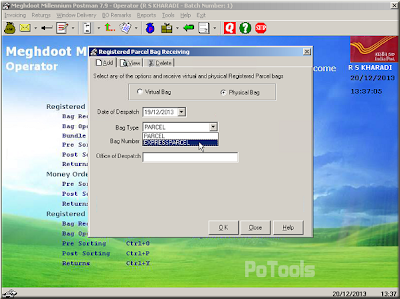 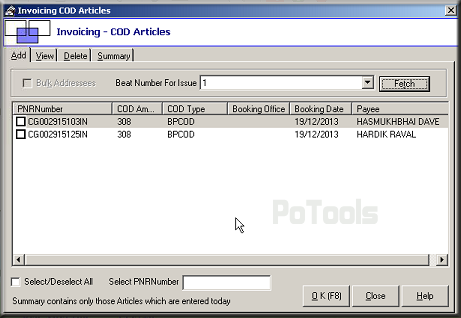 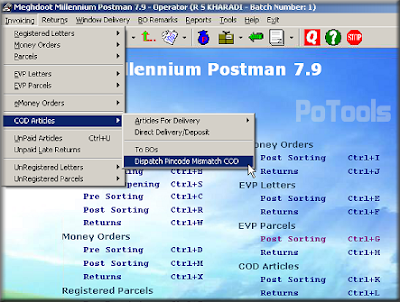 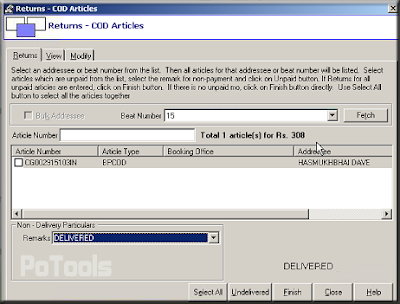 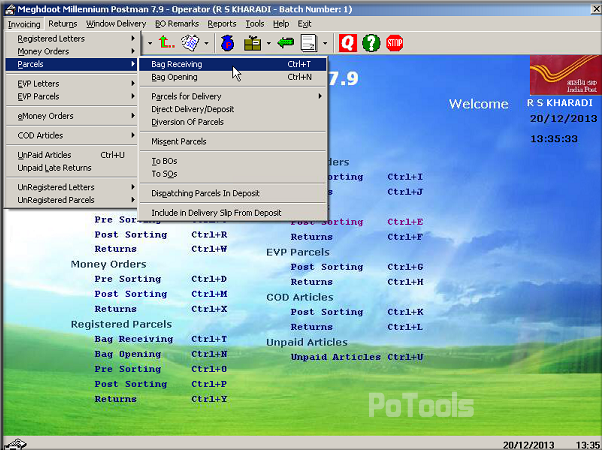 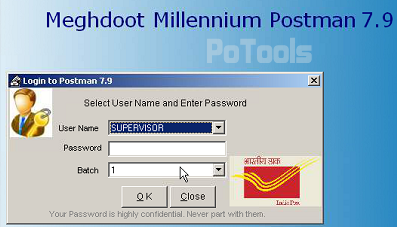 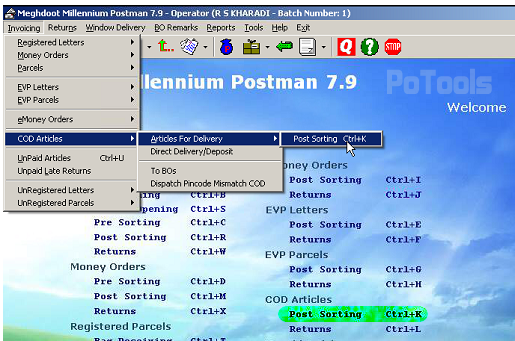 After receiving of articles click on OK.
Request-Resend Parcel COD Booking Data. 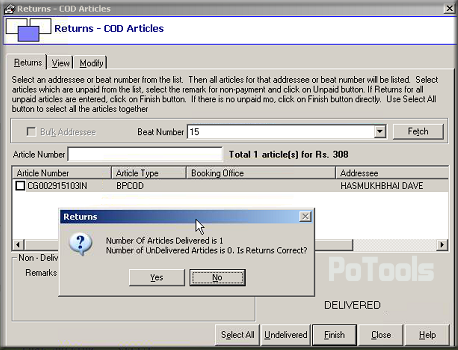 This menu Show only those articles whose electronically data is not received. 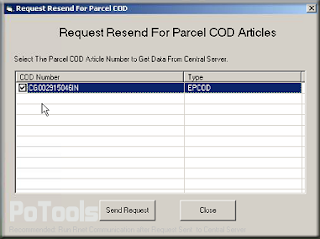 Select the article number and click on Send Request Button. 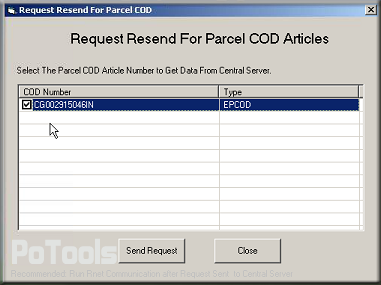 Run "Rnet Communication" after Request sent to Central Server. 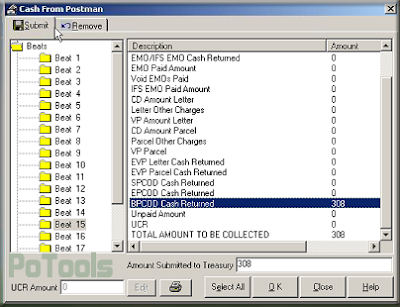 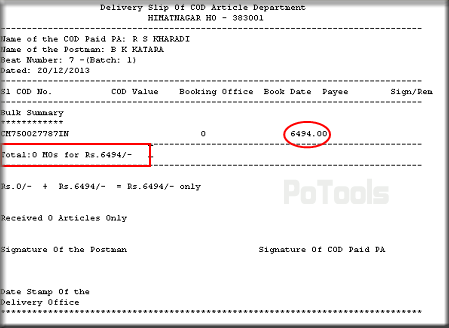 COD Articles > Articles for Delivery > Post Sorting (Ctrl + K) for invoice to Postman. 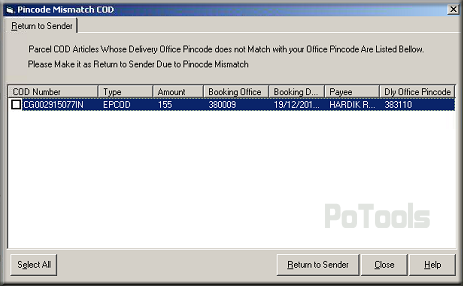 COD Articles > Dispatch Pincode Mismatch COD. 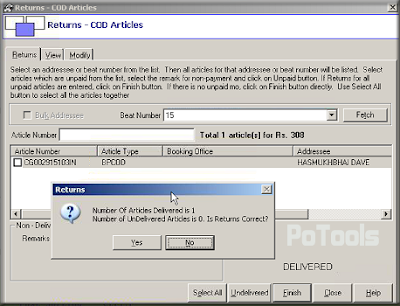 Select the article number and click on "Return to Sender" Button.